When connected with one device the current is 3Amp, when two devices are connected the current will be 1.5Amp each. 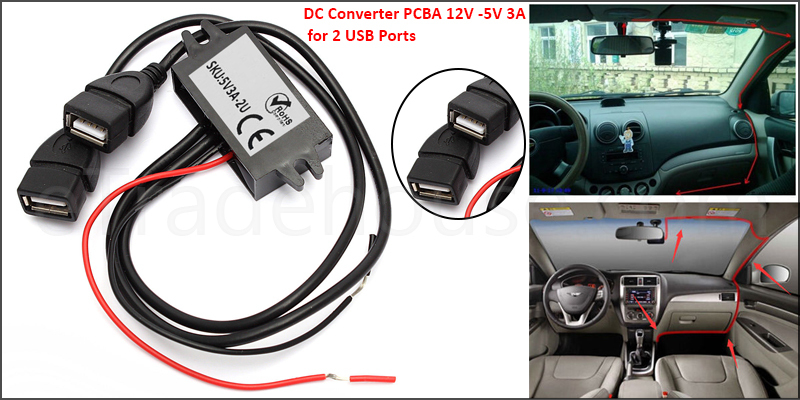 It can be used for LED car display, Mobile, pad, GPS,MP3, MP4 car DVD, hard disk player and the stereo. Light compact, convenient to use and transport. Suitable for most smart phones. Length of in-out wire: 30cm Approx.